Are you scared of raising your prices? Worried that all your customers will disappear? Read too many “wedding rip-off stories”? While there may be a few wedding suppliers who charge extortionate rates for poor quality service, the vast majority of the wedding businesses I meet are offering incredible value for money and are frequently undercharging. 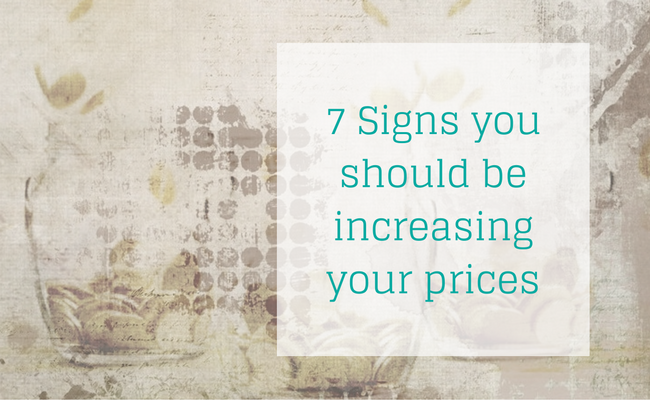 Here are 7 signs that you need to think about raising prices. You got fully booked months in advance. It’s lovely to be in demand and see a full order book before the wedding season has even started. But if you are that popular you could be earning more. You have too many clients. Many brides are on a tight budget, but you’re a business not a charity so don’t feel embarrassed when people object on the grounds of price. And if nobody is saying your prices are too high, it’s a sure sign that they are too low. If couples are commenting on what low prices/great value you offer, then chances are you are under-selling yourself. When your suppliers increase prices you either have to increase yours or reduce your profits. And if you keep reducing your profits you’ll end up with a hobby, not a business. Here in the UK, the National Living Wage was introduced in April 2016 which meant an increase in staffing costs for many UK businesses. And it’s hit small businesses hard. But as with materials, unless you can find a way to absorb the increase or cut back elsewhere, raising prices may be the best option. It’s always a good idea to keep an eye on your competitors and what they are doing with prices. If yours are falling behind not only could you miss out on extra profit, but couples may start to perceive you as “cheap” rather than “good value”. If you answer “Yes” to any of these then it’s time to think about raising prices. And if more than one applies, then you should definitely start planning an increase. 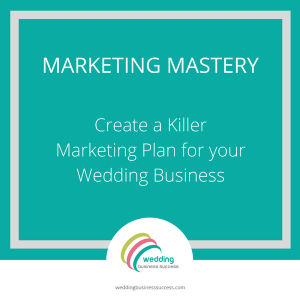 For once the fact that you don’t get repeat business in the wedding industry is an advantage – you can simply raise your prices for new bookings without impacting existing or long term customers. Of course, you can simply increase all your prices by a fixed amount, say 5%. But there are other ways to achieve similar results. Such as charging for extras you currently include free or adding a premium package to your options. 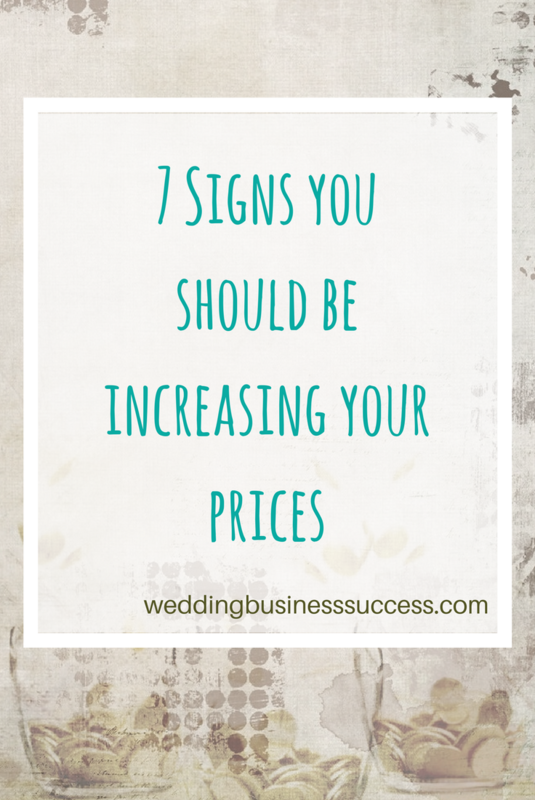 Do remind yourself that couples are looking for value from their wedding suppliers rather than the cheapest. And charge what you are worth.